Today I noticed a neat new feature in Google Places: extra-large pins for each business when you hover over that business in the “Maps” tab. 2. Click on the “Maps” tab. 3. Hover your mouse over any one of the local businesses on the LEFT, and keep an eye on the big map to the right; you’ll notice that business’s map pin double in size. You’ll see a big map pin if you hover over the business info on the left for any local business ranked #1-10 under the “Maps” tab. But you won’t see the XL map pin if you hover over any Adwords or Adwords Express results, or if you’re looking at the Places results on the 1st page of Google. Right now, the big map pins only show up if (1) you’re in the Maps tab and if (2) you’re hovering over the Google Places results on the left. There’s a chance Google is only testing this temporarily and the XL pins will be gone soon (though this is unlikely). 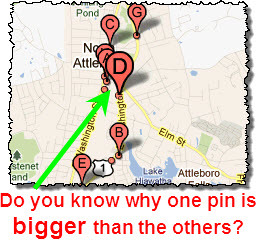 Given that Google Places has been changing a lot recently, maybe the next round of changes will explain why we now have extra-large Google Places map pins. My guess is that Google has added the plus-sized pins in order to get more people to use the giant map that’s on the right-hand side in the Maps view. 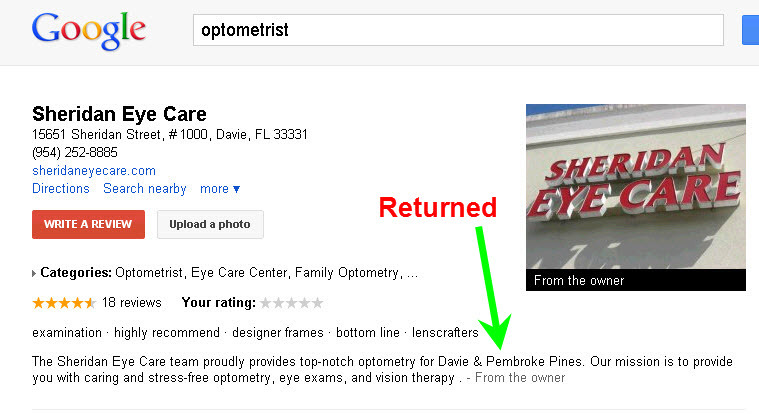 When you hover over a Google Places business result on the left and the big pin jumps out at you on the right, your eyes are going to where the movement is. Those are my two cents; how ’bout yours? Leave a comment! 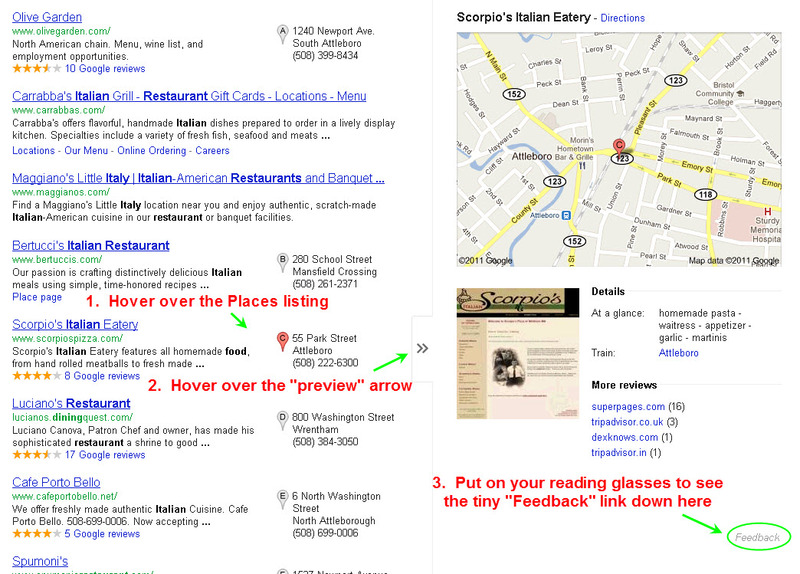 The Google Places page layout has gone through big changes recently, as you may have seen. 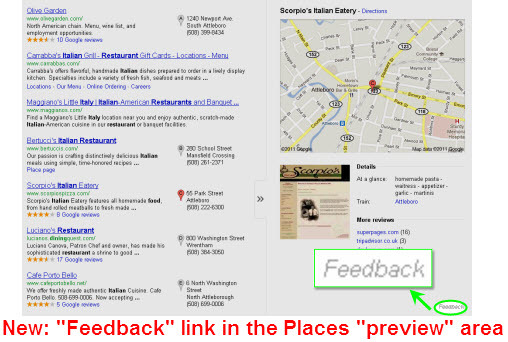 These changes include not showing snippets of reviews written through third-party sites (like Yelp), and removing the “Details” area from the Places page. Personally, I hope these changes are only temporary. I and your customers prefer having more information about a local business rather than less information. But Google didn’t ask my opinion or anyone else’s. Whatever. Not important. What DOES matter is whether you’ll let the recent changes hurt your ability to attract local customers. With all the buzz about the changes, I haven’t yet seen anybody clarify what you should actually do about the changes. As it stands now, you’ll probably just have to make a few minor changes to your website if you want to avoid a drop-off in calls and/or customers. Maybe all the missing info will return to Google Places page in a couple days or a couple weeks, making this post irrelevant. But that’s a big “maybe.” In the meantime, you don’t want to lose your mojo with local customers. 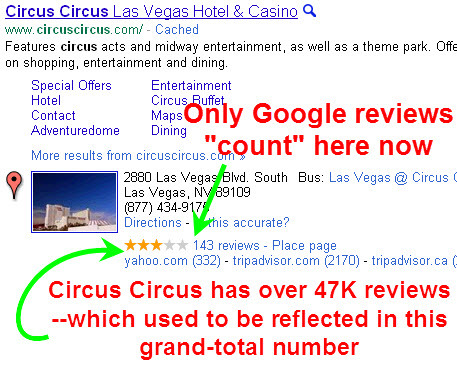 Sure, there’s other missing info –like your “citation” sources and the list of sites your business has been reviewed on. But the missing hours, “Description,” and “Details” provide info that’s especially important for anyone who’s considering becoming your newest customer. They won’t pay you if they can’t learn basic facts about you–and they can’t just find what they need on your Google Places page. Fortunately, this is where your website comes in. 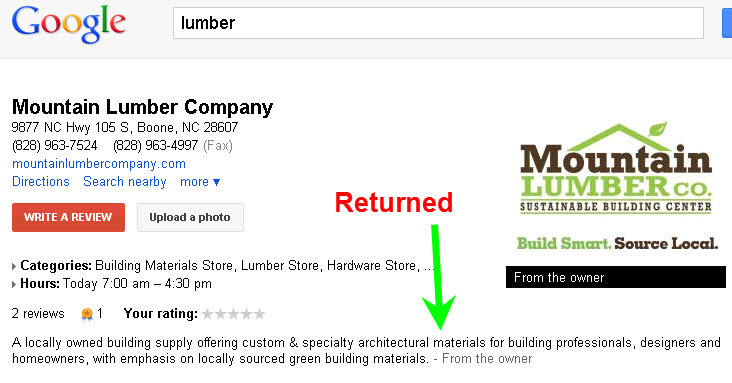 You need to add the missing info prominently to the home page of your site (if it’s not there already). Tweak 1. Show your business hours visibly on your home page. By “visibly” I mean they should be above the fold and should be formatted differently from the rest of the text–perhaps bold / slightly larger font / different color. Tweak 2. Make sure your homepage instantly tells people what you offer. 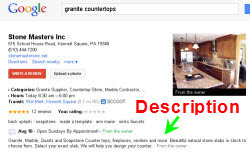 Know how the tiny 200-character Google Places “Description” was at the very top of your Place page and forced you to describe your services in a nutshell? I you put a similar little blurb at or near the very top of your homepage. Maybe throw in a really clear, descriptive picture, too. 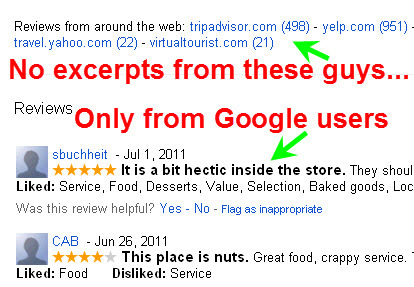 In fact, if you log into your Google Places listing, you’ll find the “Description” that used to show up publicly on your listing. If you don’t feel like writing, just copy that little blurb and paste it onto your homepage. This at least gives potential customers the same info they’d like to have seen on your Google listing, and it tells them that they’re in the right place to find the services that they just searched for in Google. Tweak 3. 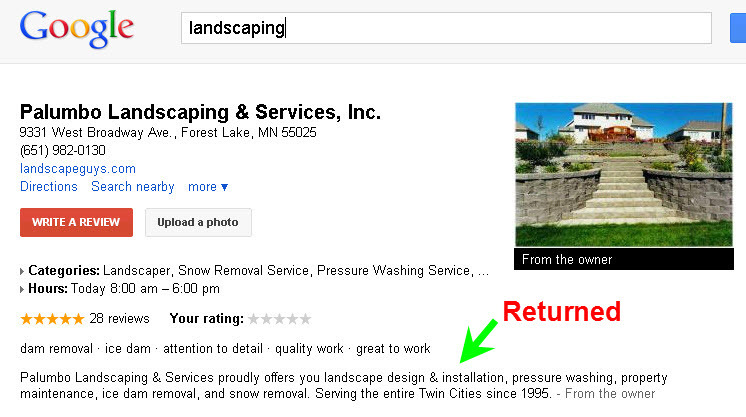 Put any “Additional Details” you had on your Google Places page on your homepage. 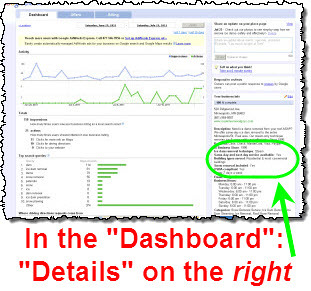 If you log in to the “Edit” area of your listing, you should see any “Details” that used to show up on your Places page. Stick any of these relevant, good-to-know details onto your homepage. Make ‘em visible, too–perhaps bold. -Accepted forms of payment. To the extent that you accept credit cards, it’s a good idea to include little pictures of each accepted card. By the way, this is also a great photo to add to your Google Places page. -All your services. You want people who saw your Google Places listing and clicked on your site to know that they’ve come to the right place, and that you offer what they’re looking for. Bullet-point lists are a great way to showcase all your services, by the way. -Local areas you serve. Don’t name like 50 towns. But it’s good to specify that you serve (for example) “Greater Austin” and maybe a few nearby towns. 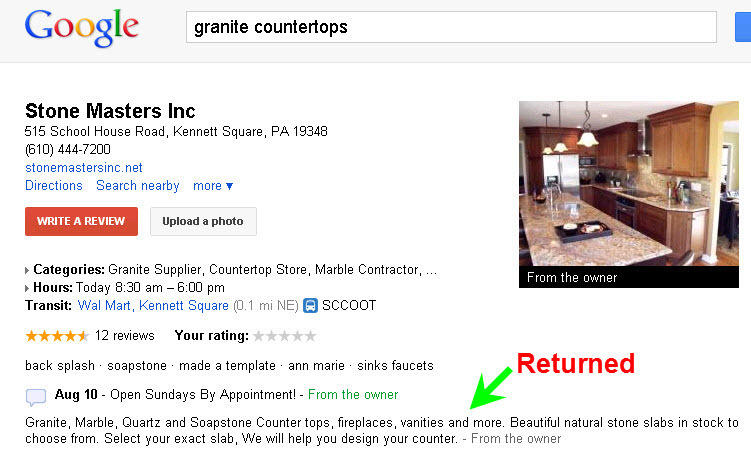 This helps you get visible in Google in those areas, and especially helps your customers know that you’re truly local. 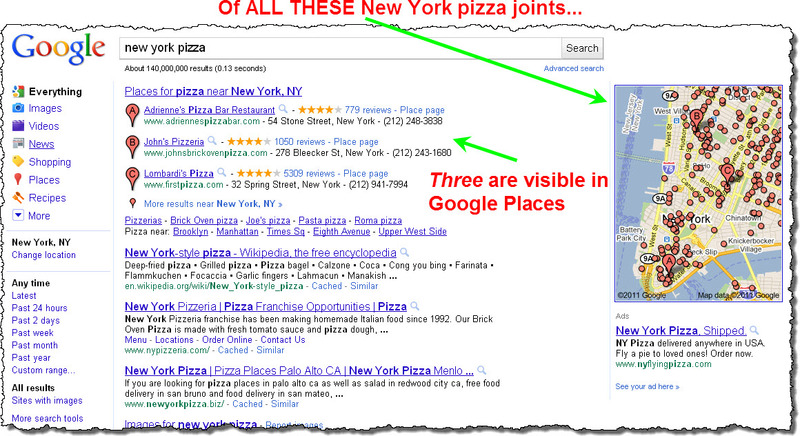 It would be nice if Google reintroduced a way to put all this info on your Places page. But it shouldn’t matter: most people look at your site at least briefly before becoming your customers. 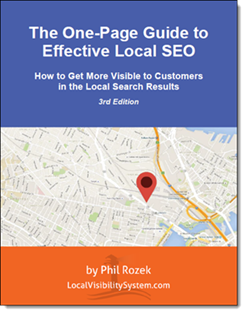 To the extent you can make your site better and more informative, you’re more likely to get more local customers. Can you think of any other “survival tips” for weathering unpredictable Google Places changes? Leave a comment! 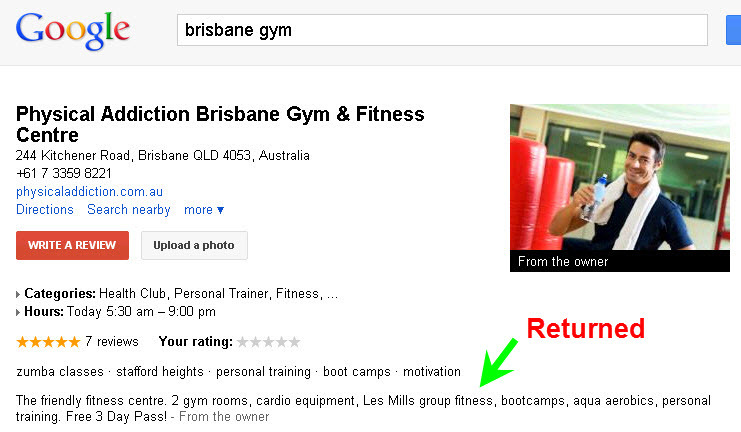 I thought I’d noticed all the changes to the Google Places layout yesterday, when Google rolled out the changes. But I didn’t. This is a shame, because the “Details” section has always been a great way for businesses to tell customers facts about their business that maybe. Maybe 2% of businesses abused this by “keyword-stuffing,” but I’d say about 98% of businesses didn’t fill it with junk (or didn’t use it at all). 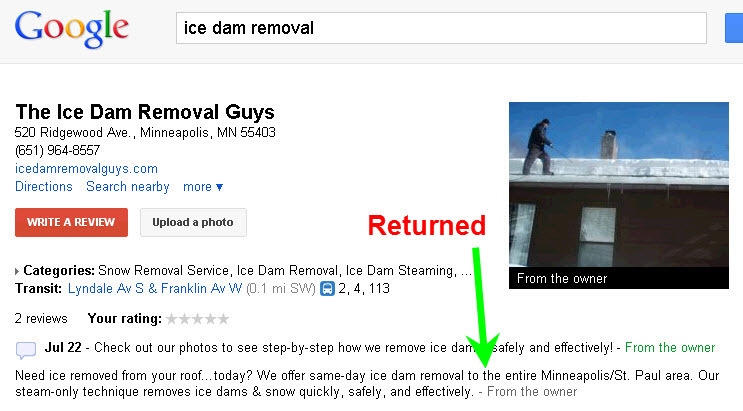 But it will be interesting to see what—if anything—Google replaces the “Details” area with. Businesses need a way to convey the odd-ball stuff to potential customers.